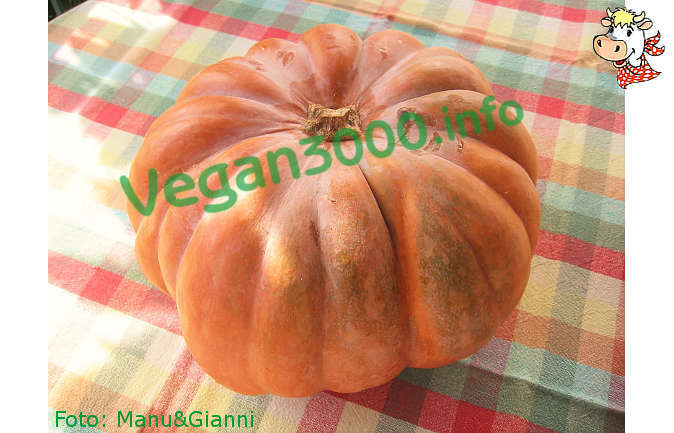 Taken, on a moonless night, a Halloween pumpkin in the field ... With a butcher knife sharp, carve the pumpkin;-) at the top, remove the pulp without ruining the pumpkin shell, remove the seeds and cut the flesh into small rectangular slices pretty thin. Put in half a glass of oil pan with a couple of cloves of garlic and when the garlic starts to fry it and put the pumpkin cut into slices. Season with salt, pepper and a good amount of rosemary. Stir every now and then gracefully so as not to break the pumpkin, which will be ready in about fifteen minutes. Serve hot with croutons. La zucca, una volta pulita e tagliata, si conserva tranquillamente alcuni giorni in frigorifero. Se invece si desidera conservarla per un periodo più lungo la si pu? riporre nel congelatore.